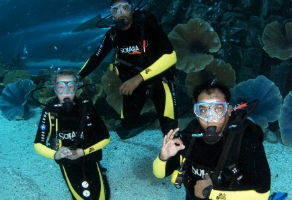 Complete the full Discover Scuba Diving, Dubai Aquarium experience at the Dubai Aquarium. 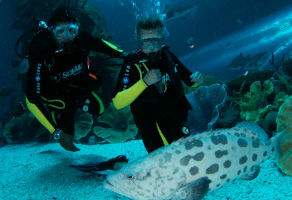 Starting at 1:00 PM, 3:00 PM or 5:00 PM at the Dubai Mall Aquarium. Enjoy a close encounter with thousands of aquatic animals in the 10 million litre aquarium.